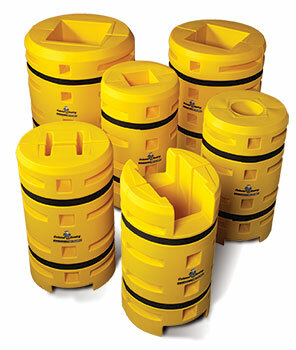 Column Sentry® column protectors cushion those big bumps, preventing expensive column damage. Sentry flexes, protecting the column, the forklift, and the forklift operator. The protector is molded of low-density polyethylene, making it tough while keeping it maintenance free.